Technology enables so much of today’s creative work, but it’s the people behind that work - the storytellers, the designers, the musicians, the filmmakers, the photographers, and all of the other artists – who inspire us. Hosted by G-Technology, INSPIRATION INFORMATION is a monthly salon series which explores the intersection of creativity and technology through the eyes of the artist. Our goal is to create an intimate space that brings people together to experience creativity in all of its forms, and inspire and facilitate conversations with artists who are utilizing technology to do amazing things. we welcome Los Angeles based Animator, Director, Designer, and Performer Miwa Matreyek. 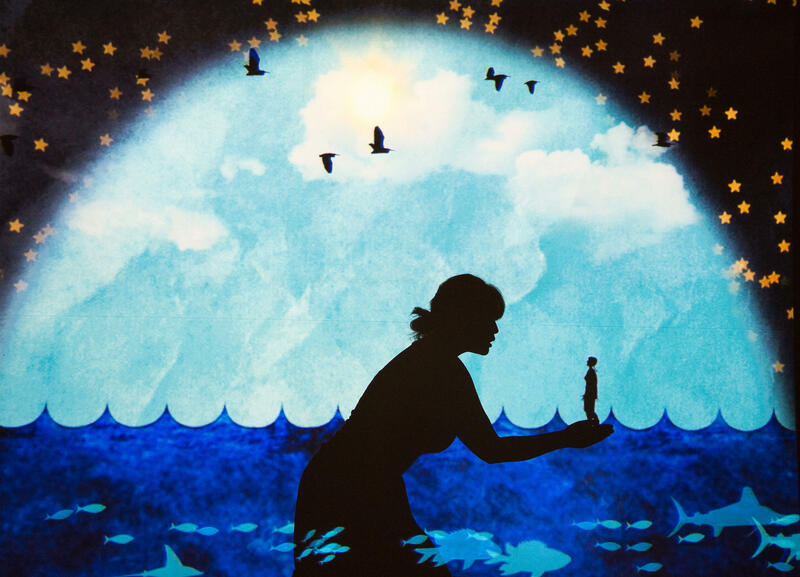 Miwa Matreyek creates live, staged performances where she interacts with her animations as a shadow silhouette, at the cross section of cinematic and theatrical, fantastical and tangible, illusionistic and physical. Miwa's work exists in a dreamlike visual space that makes invisible worlds visible, often weaving surreal and poetic narratives of conflict between man and nature. Her work exists both at the realm of the hand-made and tech. Miwa travels as a one woman show, often incorporating artist talks and workshops. She has brought her interdisciplinary shadow performances all around the world, including animation/film festivals, theater/performance festivals, art museums, science museums, tech conferences, and universities. A few past presenters include TED, MOMA, Sundance New Frontier, Lincoln Center, Future of Storytelling, Exploratorium, Adler Planetarium, ISEA conference, Meta.Morph (Norway), Anima Mundi (Brazil), Walker, Wexner, REDCAT, TBA festival, Fusebox Festival, and many more. "Myth and Infrastructure" and "This World Made Itself"